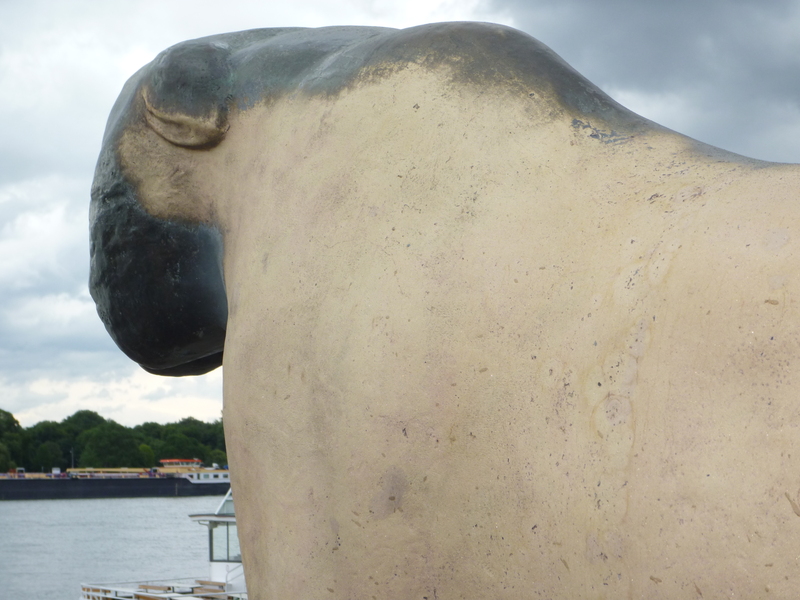 Phillip Harth’s “Tiger” sculpture on the Rhine promenade in the process of getting a good scrub. My quoting Blake at the time appears to have given Kate of Visual St Paul fame the mistaken impression that I was well-read and vaguely intelligent, inciting her to make her first comment. 03 Aug	This entry was published on 3 August, 2012 at 13:00. It’s filed under Mainz, Monuments and tagged Phillip Harth. Bookmark the permalink. Follow any comments here with the RSS feed for this post.